The Norway lobster Nephrops norvegicus is the most important commercial crustacean species in Europe. Recent decline in wild captures and a reduction in total abundance and size at first maturation indicate that the species is overexploited. Increasing knowledge of its reproduction, specifically at the molecular level will be mandatory to improving fisheries management. The current study investigated differences between immature and mature N. norvegicus females using Next Generation Sequencing technology applied to multiple tissues. Ovarian maturation-related differential expression patterns were observed for 4362 transcripts in ovary, hepatopancreas, eyestalk, brain, and thoracic ganglia in N. norvegicus. Transcripts detected in the study include vitellogenin, crustacean hyperglycaemic hormone, retinoid X receptor, heat shock protein 90 and proteins encoding lipid and carbohydrate metabolizing enzymes. From the study, data were collected that can prove valuable in developing more comprehensive knowledge of the reproductive system in this lobster species during the ovarian maturation process. 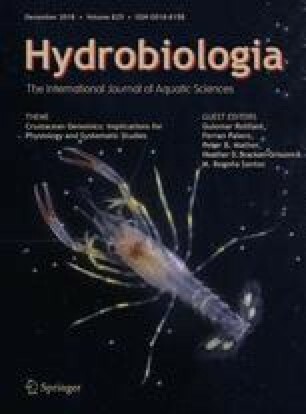 Additional studies will be required, however, to identify potential novel genes and to develop a molecular toolkit for crustacean species that can be applied to improving sustainable future production. The online version of this article ( https://doi.org/10.1007/s10750-018-3521-3) contains supplementary material, which is available to authorized users. Guiomar Rotllant and Tuan Viet Nguyen have contributed equally to this work. The current study was supported by a Marie Curie International Research Staff Exchange Scheme Fellowship within the 7th European Community Framework Programme (612296-DeNuGReC) and a USC International PhD scholarship to Tuan Viet Nguyen. The authors are grateful for the support of the crew of the fishing vessel Maireta for field sampling. We would also like to acknowledge QUT HPC for computational support during the current study.